With Halloween almost here, I wanted to share a fun and easy spooktacular snack idea to make your next Halloween party or family night a hit! These Spooky S'more Brownies bring together all your favorite s'more ingredients and topped with spooky Halloween PEEPS®! Just get ready to make a second batch, because these will be devoured in minutes!! Mix the brownie mix according to package directions. 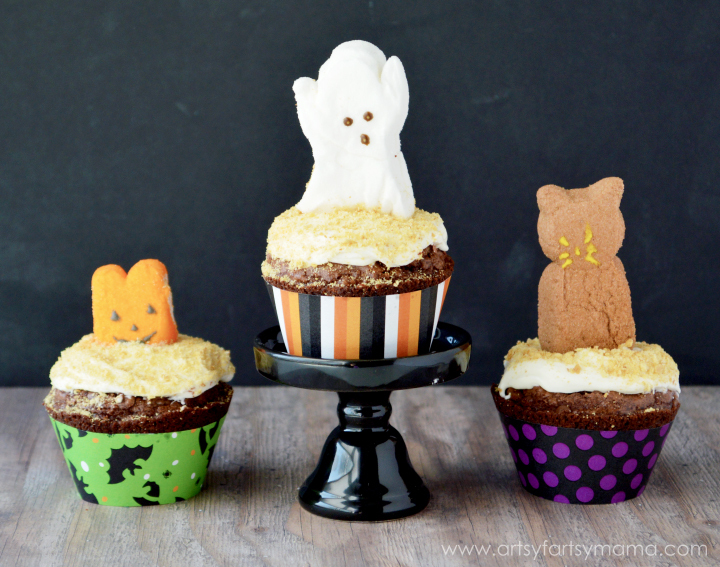 Add a cute Halloween cupcake liner, or generously grease the muffin tin. Fill each cavity about 2/3 full of brownie batter. Bake at 350º for 22 minutes. Do not overbake! 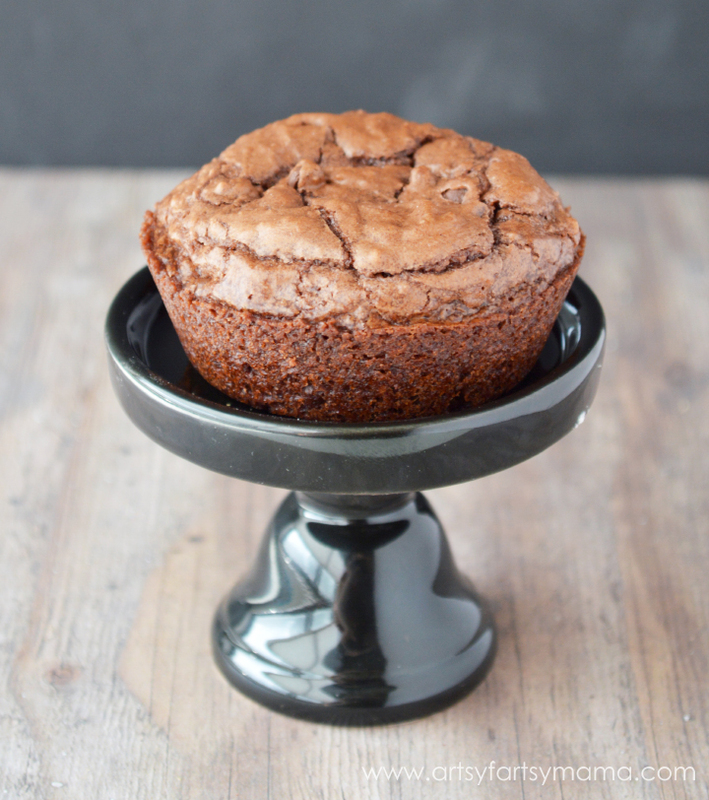 Let the brownies cool, then remove them from muffin tin to a cooling rack. In a bowl, mix together the butter, marshmallow fluff, vanilla and heavy cream until combined. Turn the mixer on high and mix for 1 minute. Turn the mixer down to low and slowly add in powdered sugar. If the icing is too thin, you can add about 1/4 cup at a time until it's the right consistency. The frosting will have a more of an icing consistency when it's first mixed together, but it will thicken up a little as it cools. If you put it in the refrigerator for 20 minutes or so, it will be the perfect frosting consistency. Add a spoonful of frosting to the top of the brownie. As the frosting warms, it can start spread out, so keep that in mind! 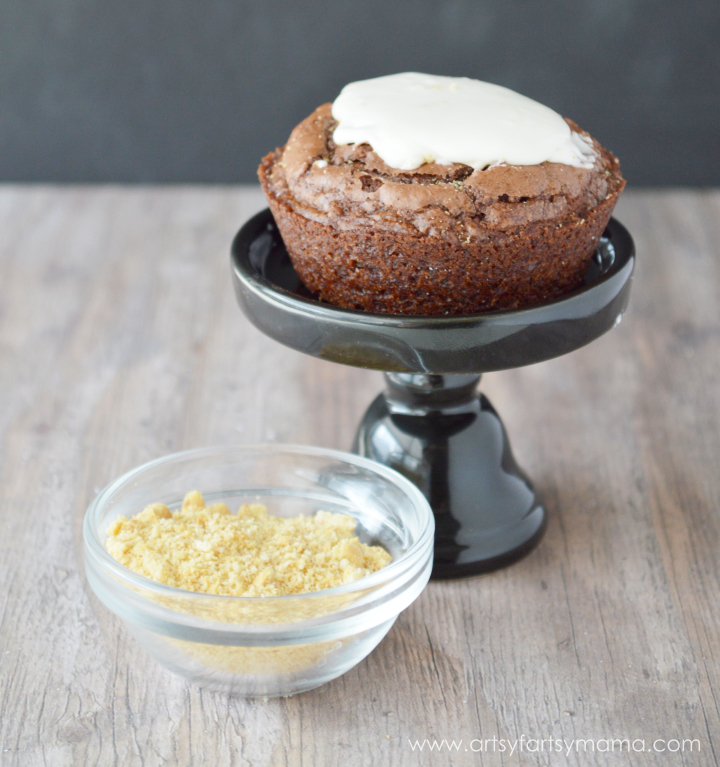 Sprinkle some graham cracker crumbs over the marshmallow frosting immediately. Now for the best part: adding some Halloween PEEPS®! Choose your favorite Halloween PEEPS® from the multipack (ghosts, tombstones, cats, or pumpkins) and add a little bit of marshmallow frosting to the bottom. Set it on top of the brownie and hold in place for a minute so it doesn't tip over. The brownies are ready to eat! 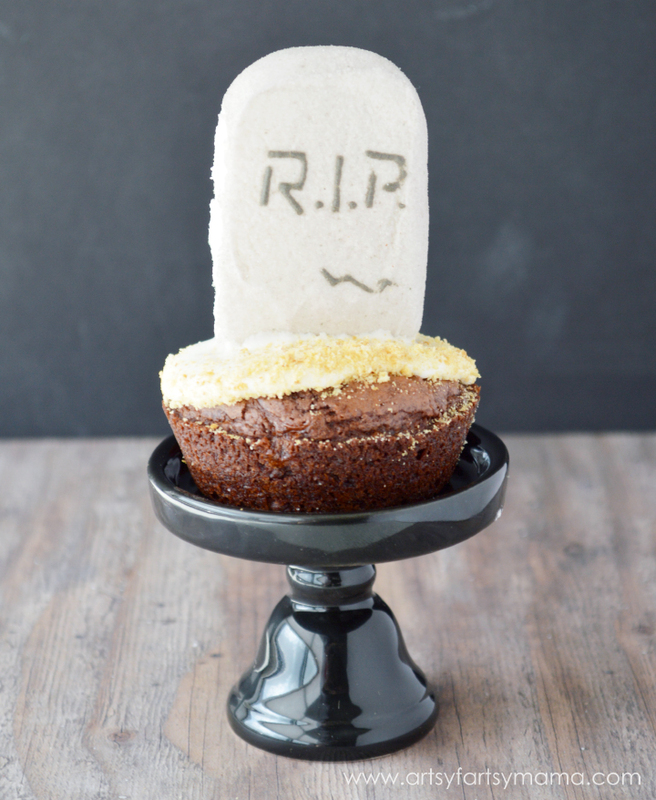 If you are making these Spooky S'more Brownies for a party or want to give them as a gift, I've designed some adorable Halloween brownie cupcake wrappers for you to wrap them in! There are 4 designs to choose from and they are so easy to put together! Cut out each wrapper, then simply bring the ends together and tape in place. Put the brownie in the center and that's it! 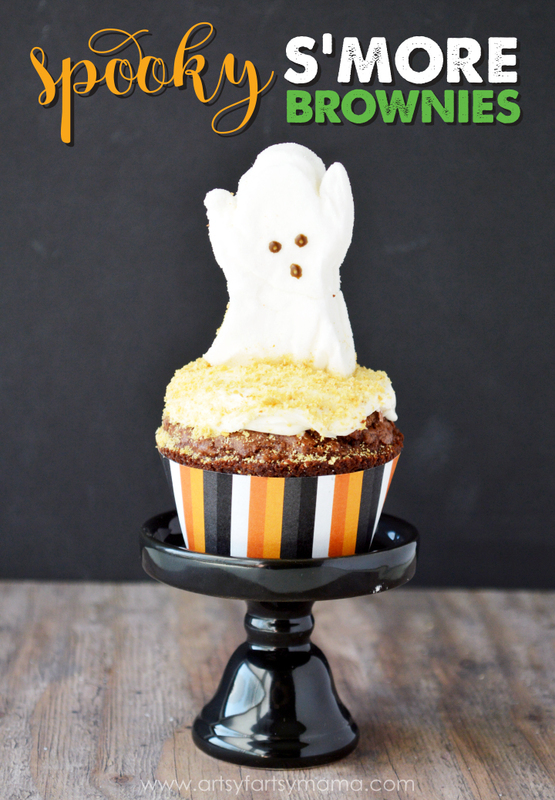 A super cute way to share a Halloween treat! 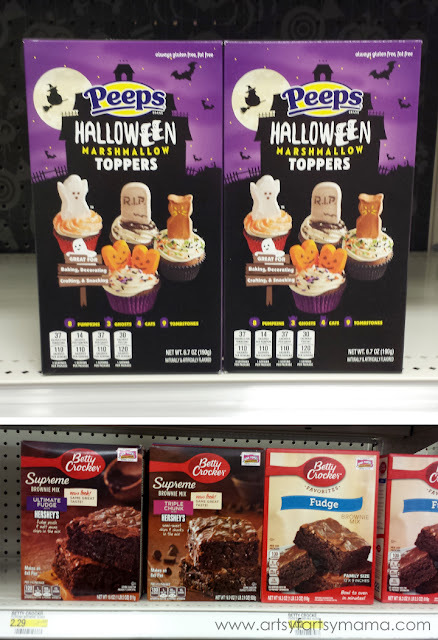 You can find both the Betty Crocker™ Supreme Brownie Mixes and Halloween PEEPS® multipacks at Target. 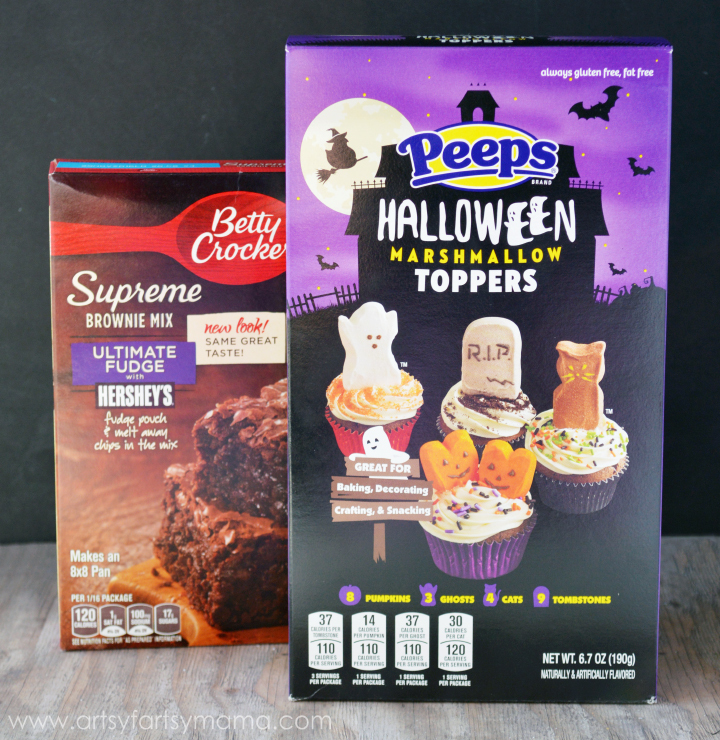 The mix will be found in the baking aisle, where the Halloween PEEPS® multipack is found near the baking mixes in the Halloween food and candy aisle. Be sure to check out these other delicious spooktacular snack ideas! I'd love to hear about your favorite Halloween treats! This is AMAZING!!! Love it so much. Thanks for sharing! My kids are big Peeps fans, and who doesn't love brownies? I know they would love these! These are so fun and would be a hit with my kids! These are very cool. Great for a future party.